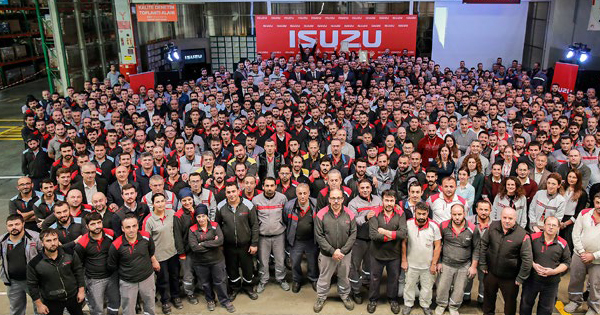 The inspection and evaluation activities of the Japanese Isuzu team at Anadolu Isuzu facilities resulted. As having renewed of IMM Certificate for truck plants and D-Max lines, via inspection of 450 procedures painstakingly, the bus plant has also deserved to get IMM certificate first time. So, Anadolu Isuzu has become only plant owning IMM certificate out of Asia continent, according to the statement. Anadolu Isuzu has deserved to get IMM Certificate which is the Japanese super production and quality management certificate. The expert Isuzu team from Japan completed perfectly its works inspecting production process and 450 inquiries at Anadolu Isuzu plant. During this inspection having specified that all production and quality processes are in the Japanese standards, logistic, human resources, aftersales services were evaluated by the Japanese experts and Anadolu Isuzu has possessed Isuzu Manufacturing Management (IMM) certificate. Following inspection of 450 procedures, the validity period of the existing IMM Certificate for Anadolu Isuzu truck plant and D-max lines, meanwhile Anadolu Isuzu bus plant has also deserved to get IMM Certificate. Thus Isuzu Japanese has verified that Anadolu Isuzu manages production and quality processes complying with the settled quality standards and has also registered its domestic made production quality.